If you are a fan of softgels and you need a mega-dose of cannabidiol in a single serving, then you need to buy CBDPure’s CBD Softgels, containing 750mg in total and 25 mg in each of the 30 capsules – experience the ultimate relief today. CBDPure products are infused with CBD oils, which have been extracted from organically and naturally grown hemp plants in Colorado. They ensure that they don’t add any psychoactive elements to their softgels, or any of their products for that matter. That means you don’t have to worry about getting addicted to taking this product, and you won’t get high either. You deserve the best, especially when it comes to your wellbeing and health. And, CBDPure understands this better than most, which is why they ensure that all their products meet the purity and quality standards needed by their customers. They usually get their CBD oil from certified natural industrial hemp that is free from herbicides and pesticides. Their plants are grown in Colorado, and all contain CBD of high quality. They also test their products and use a third party lab to certify every batch. Chronic pain: Most people often experience chronic pain at some point in their lives, which can occur anywhere in the body. Whatever the cause, you may be able to silence those pains by taking this product. Migraines: These headaches are a struggle for many people and often over-the-counter drugs are ineffective. Don’t worry, because these softgels should be able to get you the relief you need as soon as the migraine strikes. Insomnia: If you are finding it hard to have a peaceful and restful sleep, then you should try this CBDPure product to experience the relief and relaxation you need. Depression: Depression is worryingly common in this day and age. Nevertheless, CBD Softgels 750/25mg can effectively help with this condition and help to elevate your mood. Arthritis: This condition can cause a lot of pain in the joints, often making it difficult for sufferers to walk. But you can regain some hope because the CBD softgels could help relieve you of the pain. Quality: This is one thing that CBDPure tries their best to achieve through all of their products; they ensure that the cannabidiol is obtained from naturally grown hemp and that it is free from pesticides and other chemicals. The softgels have no psychoactive elements, hence the user doesn’t feel intoxicated or high. They have been lab tested and certified to be 100% safe. Effect: The CBDPure CBD oil usually contains natural cannabidiol, other cannabinoid compounds, and terpenes. When all these chemicals are combined, they work more effectively and allow the body to regain its balance and obtain relief – which makes this a great product for a myriad of different ailments. 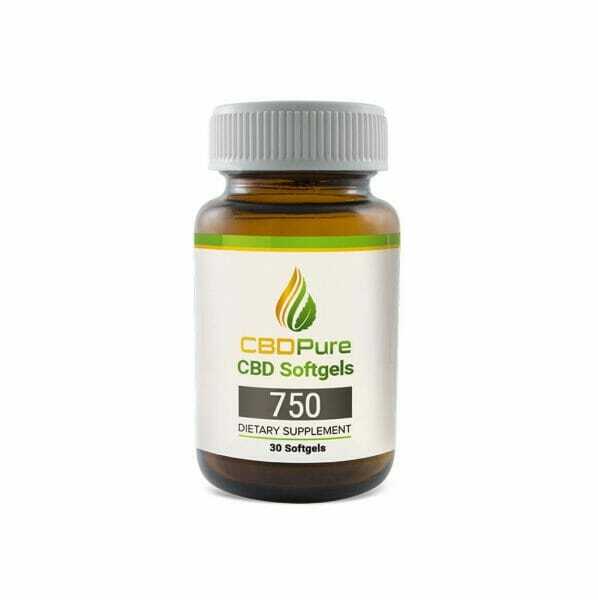 Price: You can now buy CBD Softgels 750mg by visiting the official website of CBDPure, or just click on https://www.cbdpure.com/order to buy CBD softgels online. Final Thoughts: If you are looking for a CBD softgels that will help calm and relax your body, you have just found one!